At the Ludlow Mascall Centre we want you to have the wedding day of your dreams. Whether you’re looking for an intimate ceremony or a fabulous party we will work with you to bring everything together for your special day. 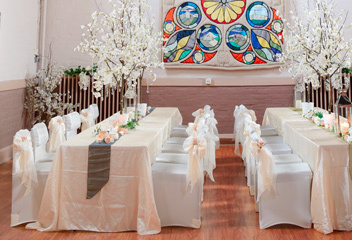 We have three rooms licenced for weddings and you are welcome to come in and decorate your chosen room/s and our grounds to your own style and specification to transform our Centre into your dream venue. We offer a range of packages available for weddings, civil ceremonies and receptions. We can work with you to create a package tailored to your needs, from ceremony only offers to receptions to exclusive use of entire centre for you, your family and friends. We have three rooms licenced for services, and you can also make use of the wider centre for your celebrations. The Centre’s Gardens and Victorian facade provide a pretty backdrop against which to capture memories of your wedding day. Our lovely new cafe can also be used for small receptions, but is not licenced for services. In addition the Centre’s large, free car park will ensure you and your guests don’t need to worry about finding a space in Ludlow’s busy town centre. 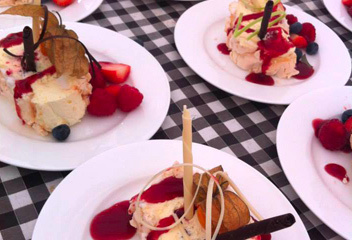 Based at the Ludlow Mascall Centre, Pea Green Catering prides itself on creating delicious wedding menus, using locally sourced products whenever possible. The high quality of Shropshire foods means that the team do not have to look far to guarantee great ingredients. Depending on your tastes and your budget you can choose from our gold, silver or bronze catering options or work with the team to create a tailor made menu. Get your taste buds tingling by taking a look at some example menus. The centre’s en-suite accommodation can provide comfortable and value for money rooms for your guests who are looking for a place to stay. More information about the rooms can be found here. 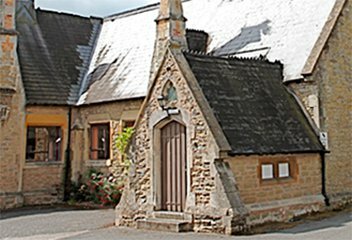 The Ludlow Mascall Centre wants you to have a wedding day you will never forget. To find out more and to take a no obligation tour of the Centre, to see its potential for yourself, contact the team to arrange an appointment.